Increase the number of vibrant healthy farms producing the best food and fibres. The project provides a peer learning environment through the formation of “Grazing Cluster Groups” which are small local area groups of producers that come together in a flexible learning environment to share information and support one another in transitioning to best practice management. In the Mid Lachlan Landcare district there is currently 70 landholders that belong to one of nine cluster groups with a further 130 landholders that are part of a wider network that receive varying levels of support. Growing the Grazing Revolution employs a Project Officer who acts as a facilitator, providing resources and links to other networks, information sessions, property tours and field days with specialist speakers. The Project Officer is also a mentor, building confidence and providing encouragement and ideas. 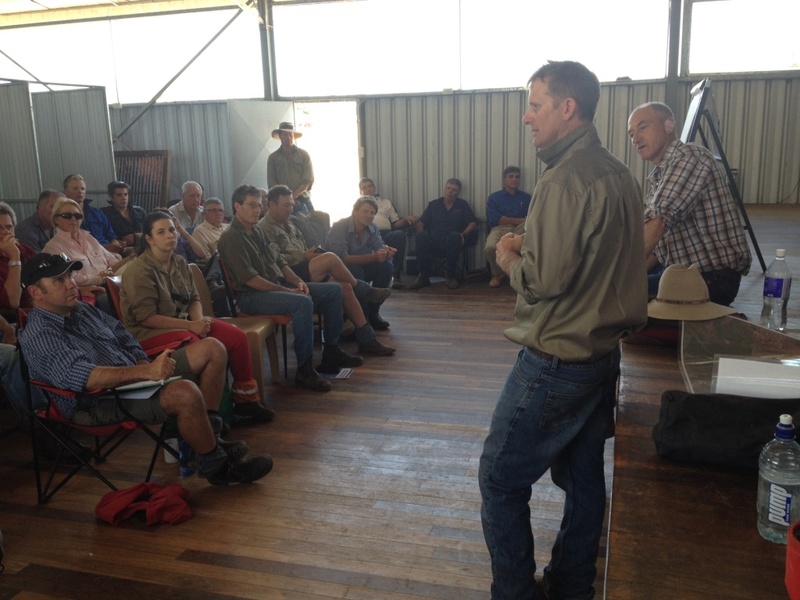 In the past four years the project has demonstrated its success through landholder participation from both field day attendance and uptake of grazing management principles which have resulted in improvements in ground cover, soil health and water quality, influencing more than 50,000 ha of productive land. The project’s success can also be attributed to its inclusive nature, which harnesses local knowledge and experience. Growing the Grazing Revolution aims to improve businesses by keeping them viable, profitable and sustainable. If you would like to become involved or would like to find out more about this project, please fill out the form on the Contact page. You can also access Field Day Reports on the Resources page.